...all're then repurposed into a new story! Cute! Love that pinkish necklace. 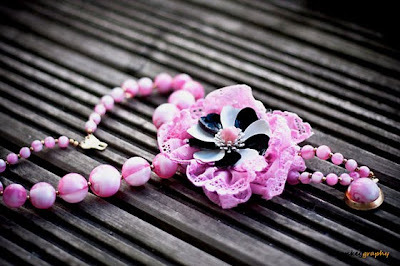 I think that beautiful flower with lace could be a great embellishment for hair accessories.